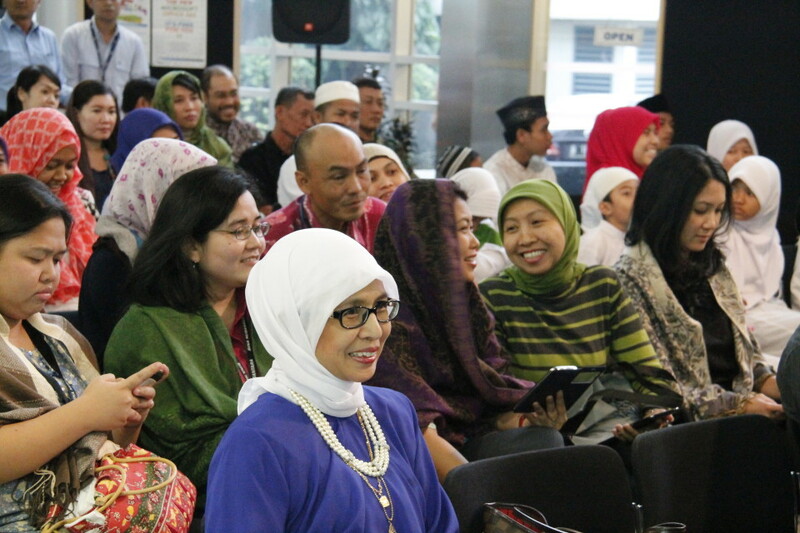 The big family of BINUS INTERNATIONAL and BINUS BUSINESS SCHOOL gathered in the breaking of the fast during the Ramadhan Iftar 2014 event, at the Joseph Wibowo Center campus, on July 8). A large number of staff attended the event, along with orphans from Panti Asuhan Al-Amin Rawa Belong and our media partners. The event was opened with hadrah, Muslim music performed by Al Istiqomah. 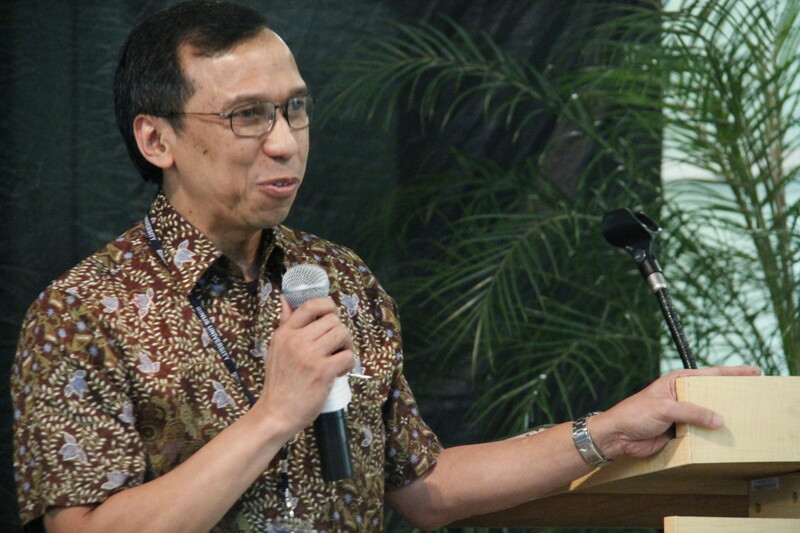 An opening speech was then delivered by Firdaus A. Alamsjah, Ph.D, the Executive Dean & Provost of BINUS INTERNATIONAL. In the speech, Feri said that he was grateful for the annual event. “This event is a blessing for us all. 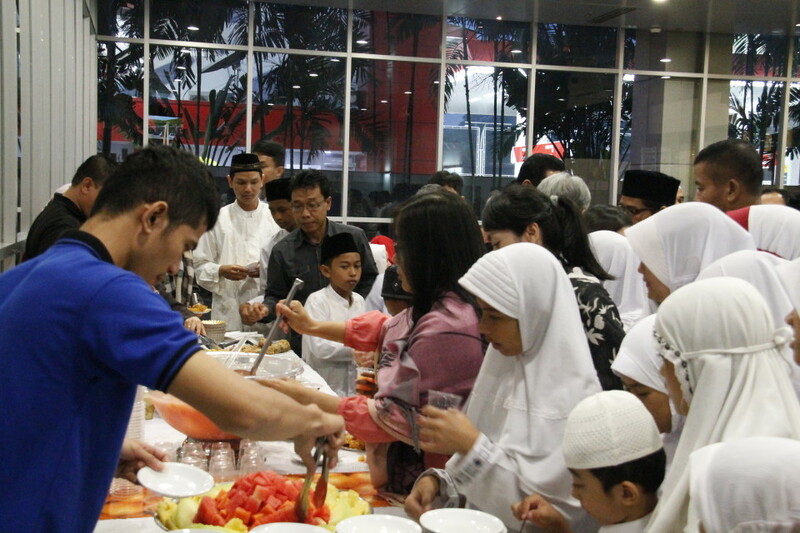 We are able to gather here to meet each other, to share and gain knowledge about Ramadhan. I am happy that this event is organized, especially because we are able to invite a good speaker like Ustaz Syafii Antonio. 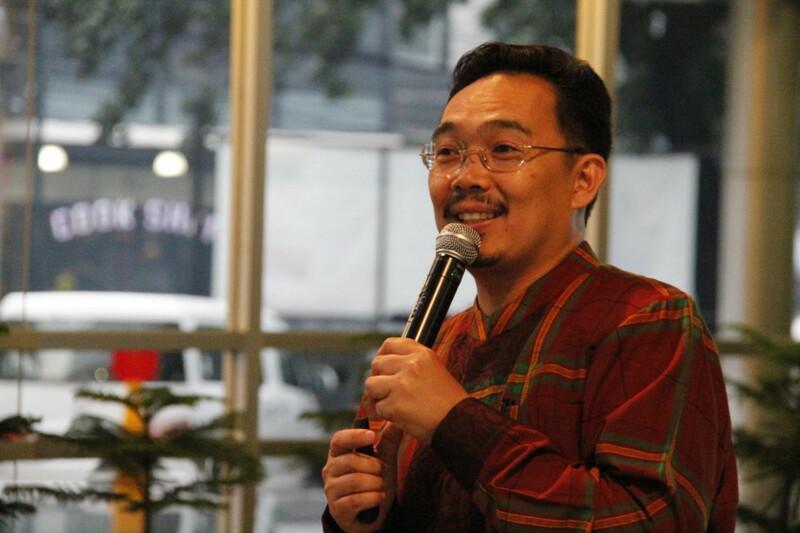 I hope that this event will still be held for many years to come,” said Feri. 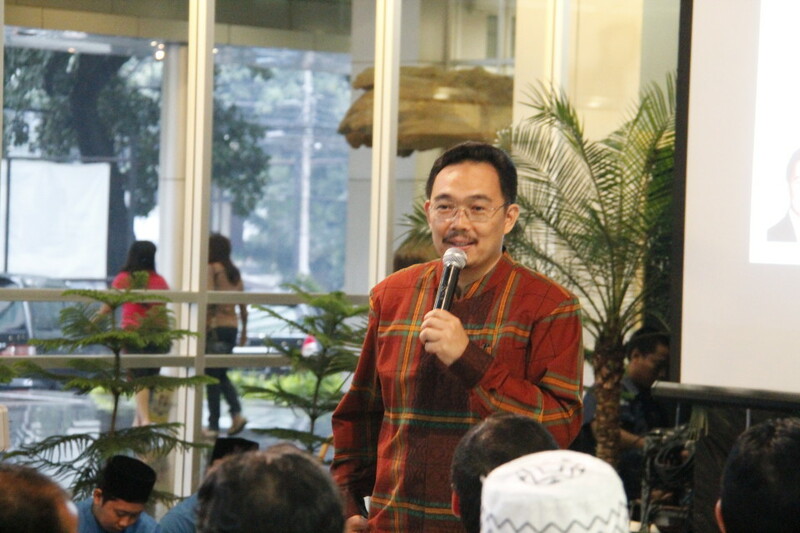 Ustaz Syafii Antonio gave the Ramadhan lecture and led the opening prayer for Maghrib. 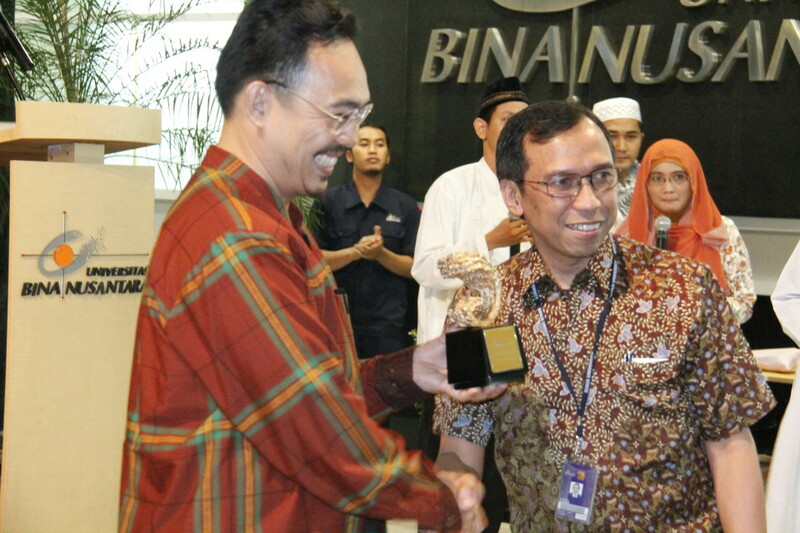 Muhammad Syafii Antonio is a famous ustaz, lecturer and syariah economic expert. 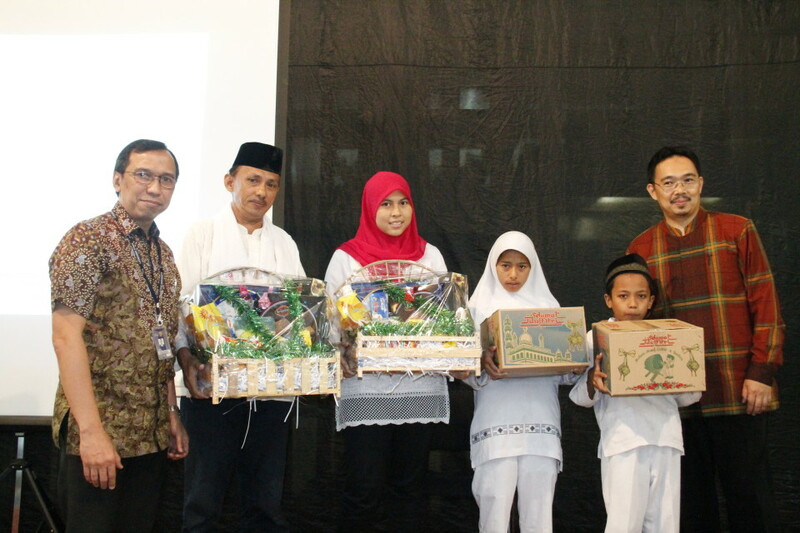 He took up the theme “Teladan Ramadhan Rasulullah SAW: Halal-Oriented, With Disipline and Integrity”, as the main focus of the lecture. He shared the meaning and benefit of fasting within the month of Ramadhan as well as the fasting habit of the prophet, Muhammad SAW. “Fasting in the month of Ramadhan is like re-managing our life. 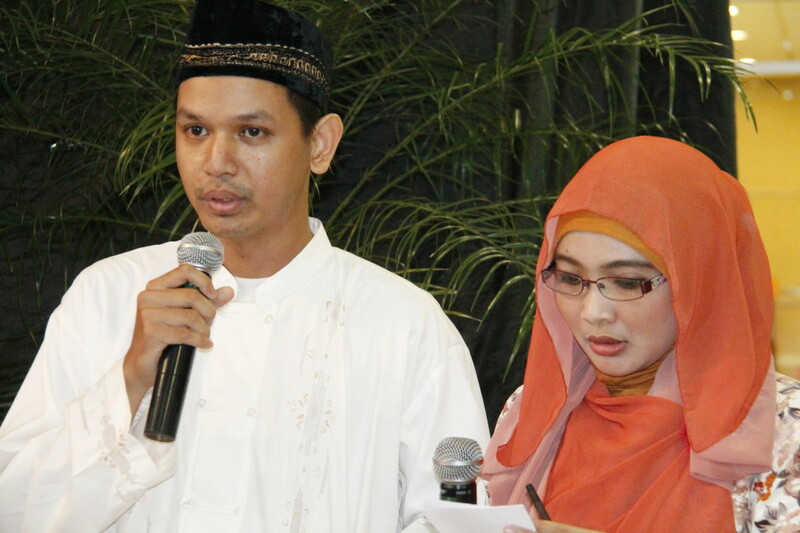 All activities that we do become more organized, while prioritizing what is halal and what is not. If possible, we need to worship God more in the following months like the prophet Muhammad SAW did,” said Syafii.